In February of 2018, Alimama, in conjunction with the International Joint Conferences on Artificial Intelligence (IJCAI), hosted an advertising algorithm competition on the Alibaba Tianchi Platform. Alimama is Alibaba's big data marketing platform. It has access to all the core business data of Alibaba. This competition hopes to uncover more technologies and talents to empower the whole marketing ecology. 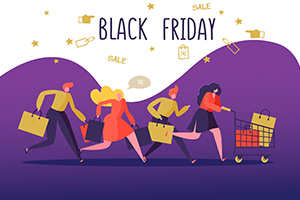 Given massive transaction data, the key challenge of the competition is for participants to produce the best conversion rate estimation algorithm. Similarly, Tencent also hosted an algorithm competition in 2017 where the key challenge is about mobile applications’ advertisement conversion rate. There seems to be an uncanny focus for algorithm competitions on conversion rate. In recent years, advertisements became the increasingly important revenue channel for mobile platform and mobile APP developers. Their need for efficienct, result-oriented, systematic and precise advertisements placements in increasing as well. And the key determinant for advertisement efficiency is a marketing platform’s technical foundation and execution solutions. The algorithms used are therefore the key derterminants. This is why the major tech players are hosting algorithm competitions. The Artificial Intelligence (AI) era is driven both by data and algorithm. And algorithms will become the core competition now that data collect and storage capabilities are well developed. We now enter the period of time where the mobile internet industry is booming across the globe. The increasing flow of international products and integration of resource challenges allows for increasing volume of traffic and offer significant monetization opportunities. And the essential question that all mobile APP developers have to answer is how to effectively realize monetization of their user base. Relative to these major players, third party marketing/monetizing platforms are much more agile and quick. They continuously improvise and sometimes reinvent new models of algorithms while at the same time exploring real world applications. AdTiming is a mobile marketing company that specializes helping developers go international. AdTiming CTO Dr. Zhang has been working in the ICT industry for numerous years. He has always been someone brimming with innovative ideas. Be it improvising on already very established models, leveraging on technical prowess to bring about growth, create whole new models or discovering actual real-world applications. In the interview with Morketing, Dr. Zhang emphasized on scientific application as he shared AdTiming’s advertisement product ideals. We see that similar to the major players, AdTiming is equally in search of efficiency. Dr. Zhang Wen Tao is a very confident person. My first impression of him is that he has a very composed and friendly demeanor. His speed of speaking is slightly faster than average and carries a technical expert’s efficient way of speaking. Although his baritone voice is of a low resonance, his articulates very well. All of these allows Dr. Zhang to quickly build a strong rapport with me. Dr. Zhang told Morketing very frankly that before working in mobile marketing, he was working in a telecommunications company where he was in charge of big data AI automation research and development. 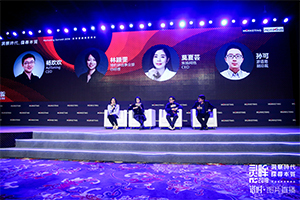 Dr. Zhang remarked that he initially thought the transfer from telecommunications to mobile marketing was challenging as the two industries’ data and needs were completely different. He explains that in telecommunications, the main analytic perspective for a telecommunications company is mainly the users’ communication behavior, such as voice call duration, text message frequency and length, and therefore map out an understanding of average user behavior. Or to effective sell new products by analyzing big data from voice call statistics, social trends, geographic location, etc. It is even possible to decipher which users are more willing to pay for premium services from these data. 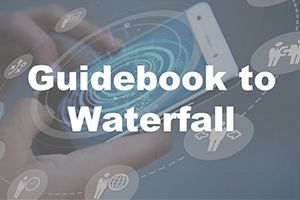 Although the two industries are vastly different, there are many similarities in the way that data needs to be gather, processed and analyzed to make sense. The principles of data mining and analysis remains the same, whatever the application or industry may be. Dr. Zhang shares that it is not difficult for what technologists like him to traverse industries, there are tons of research, including already-function AI models, basic parameter models that are readily accessible for them to tweak and apply in different environments. Big data has also become such a hot topic in the recent years and a significant portion of big data actually comes from sales traffic flow. For example, group segment tagging after identifying and categorizing users according to their historic searches to determine their likely preference thereby allowing for precise marketing. All of these are highly profitable and essential tools for marketing and sales in the modern era. It is common knowledge that advertisements will evolve towards greater precision. There are many companies in China that are already capable of such feats, including big data analysis and group segment tagging. From a technical perspective, the core solutions to achieving this goal is AI or perhaps machine learning. Tencent’s social media advertisement system first started out using AI ideology and methods to estimate the conversion rate, click rate and automatically process advertisement audits. The process of data mining also requires AI, for example the interests of users for particular goods, user trends and user lifestyle. And AIs are the best estimators as it can circumvent issues relating to privacy. AdTiming current leverages on AI to accurately estimate click rate, conversation rate, etc. The common practice in the industry of advertisements is to first establish a working AI model. With this foundation, technologists provide the model with historical data, for deep learning to happen and ultimately elevate predictive accuracy. On the topic of precision, the key question is how much data is available. Traditionally, when the data is insufficient, the estimates of algorithms will be considerably off, however in the context of advertisements, this is not the case. Dr. Zhang explains that in the advertisement industry, even if there is plenty of data, it may more likely be non-essential. Non-essential data such as long tail traffic. Dr. Zhang further shares that at the current stage, the AdTiming team is building and refining algorithm for AI automated precise filtration of data. AI has been developing very rapidly in the past two years. A large number of models are already being used and many more still being built. Many big companies such as Google, Alibaba, Facebook, etc. are in the midst of trying to apply deep learning into the contexts of advertisements. There is potential to distinguish users even in there are only very limited data available. It might even be possible to convert long tail traffic. In the industry, it is already common practice to leverage on Logic Regression to predict click rate. Many companies are using this model and the results are prominent. Broadly speaking, Logic Regression is a type of linear model similar to the very established ARMA model. Programmers generally hope to be able to identify the relationships between factors, but within the realm of advertisements, there are many observable factors, especially so the numerous sub factors in user identification. Therefore, the use of linear model here is very challenging. The maturing non-linear model – Deep Learning. This type of non-linear model can automatically identify and sort factors, thereby solving the challenge. Traditional non-linear models are gradually maturing in the current industry. With the improvement of technical expertise in this area, more people are now involved in deep learning models. This is because deep learning models hold highly non-linear capabilities, it has the potential to explore very exciting new areas. Allowing massive amounts of seemingly unrelated data inputs to produce highly accurate estimates. Deep learning models has already been around for quite some time, but why is it only applied in recent years? 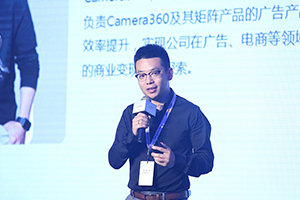 Dr. Zhang informed Morketing that it was recently found that deep learning model has the potential to solve current challenges in the advertising landscape, however it has yet to mature into an established industry standard. Firstly, deep learning requires huge amounts of data, only with substantial input can deep learning be useful. Secondly, in regard to data in advertising, more research is needed on the application and promotion structure. Lastly, as the calculations are running incessantly, it requires significant hard and soft inputs for it to bring about possible returns. Even then, only after a significant period of time. 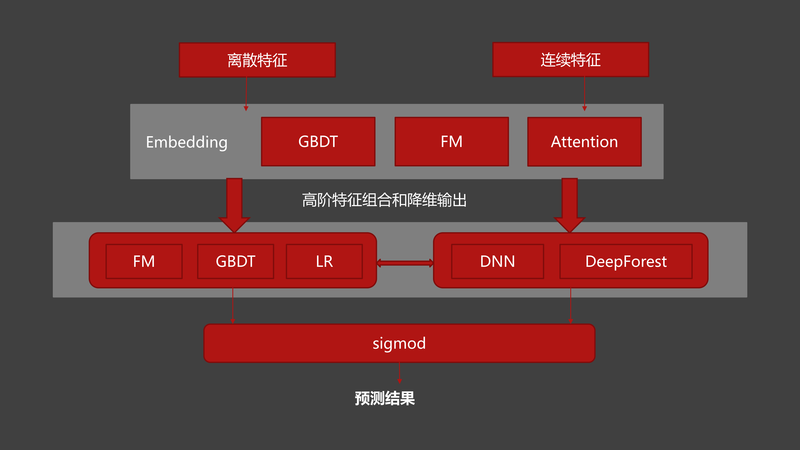 In addition, the reports on deep learning published by CTR suggests that improvements are not similar to DNN (Deep Neural Network) in other fields such as language and visual recognition. But leveraging on DNN to build CTR models is definitely the trend and there is potential here to be discovered. The major internet companies such as Google, Facebook, Microsoft and Alibaba are keenly interested in deep learning models, especially when applied to advertisements. Numerous publications on this subject in recent years primarily focus on multi-model integration as well as improvements to the structure of the web. These discoveries will allow advertisement data and CTR estimating models to become better. AdTiming has just been around for less than two years. Dr. Zhang expresses that they are lucky to have the advantage of leveraging on existing established models. Standing on the shoulders of the pioneers. He adds that AdTiming pursues creativity extensively. Dr. Zhang elaborates that everyone employs the same basic theories and modelling tools. To obtain better results, naturally, there needs to be creative techniques. For example, there are many factors that affect the click rate of advertisements, different factors have different characteristics and meaning, therefore if they are treated as the same, the predictive models will not produce the expected results. Therefore, the salience for each factor has to be individually tweaked to achieve better results. 1. The initial use of the most basic logic of LR model. 2. The current use of traditional non-linear model, employing a combination of GBDT + FM models to achieve desirable results when applied. 3. At the same time, in the field of deep learning, AdTiming invested significant resources into its research and application. Attempting many DNN models, discovering new ideas while continuously looking for simple, effect, suitable applications for marketing purposes. In advertising industry, the integration of multiple models is the norm. The classic case established by Facebook is a combination of GBDT and Logic Regression models, it solves the issue of Logic Regression needing manual factor programming. And the results were objectively improved. The industry is always trying new models, always improving the structure and parameters to finetune. Likewise, AdTiming is also doing so diligently. Recently, AdTiming constructed a new model Deep Forest. This model is highly capable in its potential to integrate non-linear hidden data. Additionally, the model is simpler than DNN and it allows for concurrent processing. Deep Forest also functions well with a smaller data pool. After some optimization, the results are rather positive, and at the very least, it is on par with DNN. It easily meets the requirements of advertising needs. Dr. Zhang concluded that deep learning in itself is a foundational theory. But when applied to estimate advertisement click rates, visual recognition, automated language processing and identification of various factors, it allows for the model to produce remarkably accurate estimates. Thereby enabling more effective advertisement placements.